Lisa Louise Cooke is the owner of Genealogy Gems, a genealogy and family history multi-media company. She is producer and host of the Genealogy Gems Podcast, the popular online genealogy audio show (downloaded over 1.5 million times! ), as well as the Family History: Genealogy Made Easy podcast. Both podcasts are available at www.GenealogyGems.com, in iTunes, and through the Genealogy Gems app. Her podcasts episodes bring genealogy news, research strategies, expert interviews and inspiration to genealogists in over 75 countries. Lisa is the author of a variety of multi-media materials available to Genealogy Gems Premium Members, and the books Turn Your iPad into a Genealogy Powerhouse, How to Find Your Family History in Newspapers, The Genealogist’s Google Toolbox, and Genealogy Gems. Her most recent publication is the wildly popular Evernote for Genealogists quick reference guide. In addition, she’s the producer of the video series Google Earth for Genealogy and over 70 videos at the Genealogy Gems YouTube Channel. In addition to Genealogy Gems, Lisa produces and hosts The Family Tree Magazine Podcast, regularly writes for the magazine, and is an instructor and curriculum developer for Family Tree University. Lisa’s offerings are not limited to online. 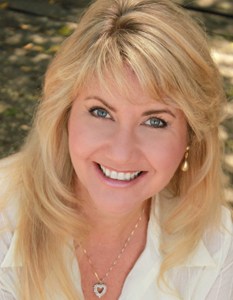 She is a sought after international and keynote genealogy speaker having regularly appeared at Who Do You Think You Are? Live in London and RootsTech in Salt Lake City. Whether in person or online, Lisa strives to dig through the myriad of genealogy news, questions and resources to deliver the gems that can unlock audience’s family history treasure trove! Lisa mentioned that all experiences are a training ground for what comes next. That’s a very positive way of saying that all of our life’s experiences accumulate and are useful to leading us to and helping us in our current position. Let’s take a look at our invdividual experiences this week and draw on our own strengths. Make a list of all the positions or jobs you’ve held in the past whether professional or volunteer. Consider all the skills you’ve acquired and your strengths in completing those roles. Now think about your current position as a genealogy (or soon-to-be) professional. Are you maximizing all of your strengths that you’ve learned over the years? Think of ways that you can incorporate your strengths and the uniqueness created by the sum of your experiences to encourage you to be the best genealogy professional that you can be. Wow, Marian! I loved this interview. It is was very motivational for anyone wanting to transition for a hobbyist to a professional. Hello. I just want to thank you so much for this and all other podcasts you’ve produced in this series. As a direct result of these podcasts, I have taken numerous strides in goal of becoming a genealogy professional. This one and the one with Michael Strauss particularly spoke to me. All, however, encourage and instruct in their own way. Love Fieldstone Commons, as well!